To seam or not to seam… why not both? Everyone has an opinion on seams versus circular knitting. Seams provide structure, while circular provides drape and, more importantly in many minds, no seaming. 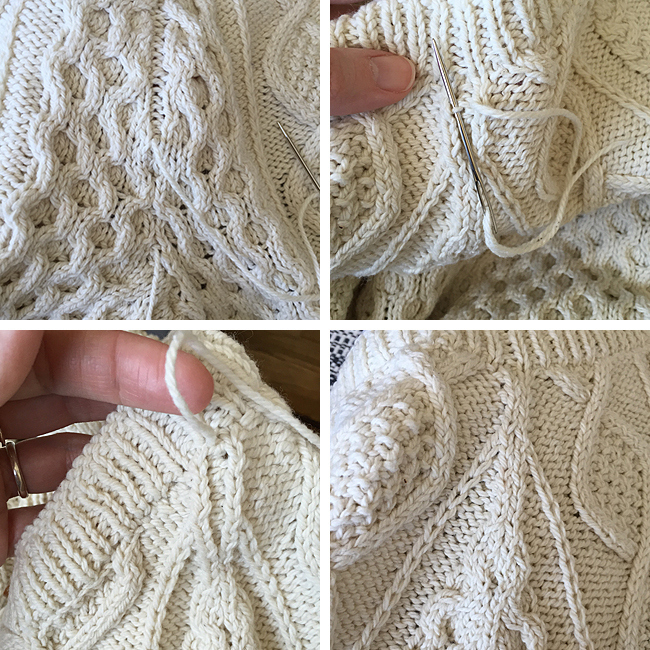 I, too, love knitting my sweaters in the round, but when I do, I miss the structure and shaping the seams preserve. It’s the construction that prevents my long sweater from becoming knee-length, and my overlapping fronts from stretching too far. Earlier this year, I ran across an article that turned my world on it’s head. Knit your sweater in the round, with an extra purl stitch where a seam would normally be, then mattress stitch each side of the purl stitch together. Less inside seam, more structure, best of both worlds! I’m currently knitting a sweater in the round and plan on testing out this technique. It’s simply genius, and I appreciate Karen Templer for sharing it.